A highly respected Tory MP has told his supporters he is ready to quit in a shock move that may result in Theresa May being brought down as the Prime Minister. Sources in the lobby and halls around Westminster say that the place is abuzz with the talk of an impending crisis within the Conservative Party and at the top of Government. Theresa May is currently out of the country on a trade visit to China and plotters see this as the ideal time to topple her. 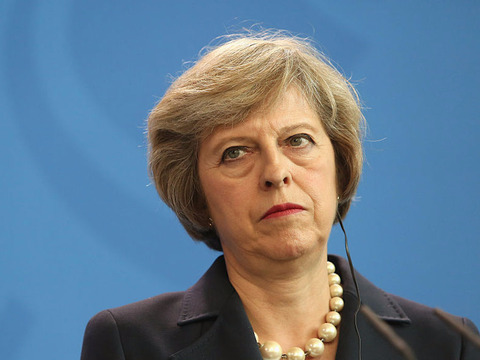 She appears to be struggling to keep a lid on the warring factions within the Tory party with Brexit supporters unhappy at her soft stance with Europe and remainers also annoyed that more isn't being done to keep us in Europe. It certainly promises to be an interesting few days in UK politics. Do you agree we should Leave the EU and Unite the UK? Then sign up here! Read: "Defence Secretary Williamson demands REMOVAL of all EU flags from Ministry of Defence property"